blue eyed freckle: DIY: Holiday Garlands and Tassels! 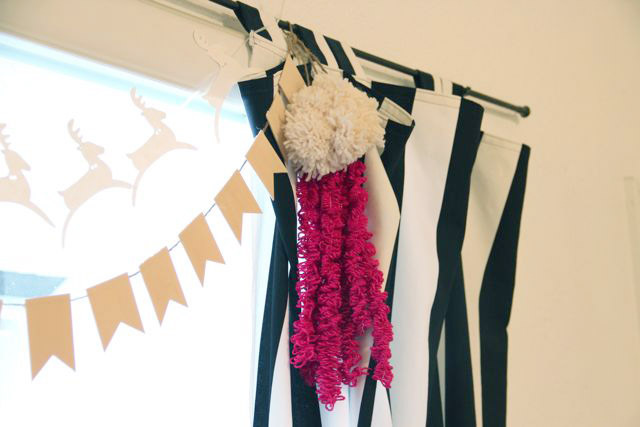 DIY: Holiday Garlands and Tassels! Remember when we made that awesomely versatile shirt? Well, thanks to My Own Fringemaker I have been busy making more awesome things out of yarn for the holiday season. I seriously love this contraption, as it allows me to make fringe, tassels, pom-poms, and so much more out of yarn and ribbons you already have around the house. 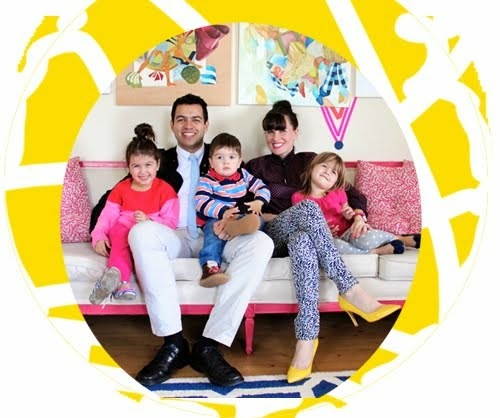 If you want some ideas for using fringe and such check out my pinterest board here. For my first holiday decoration idea, I tied on my yarn and wrapped at about 1 inch apart (I did 2 at once on the fringemaker). The Fringemaker allows you to just hold the yarn ball, and then you twist the crank really fast and it winds it all on there in seconds! 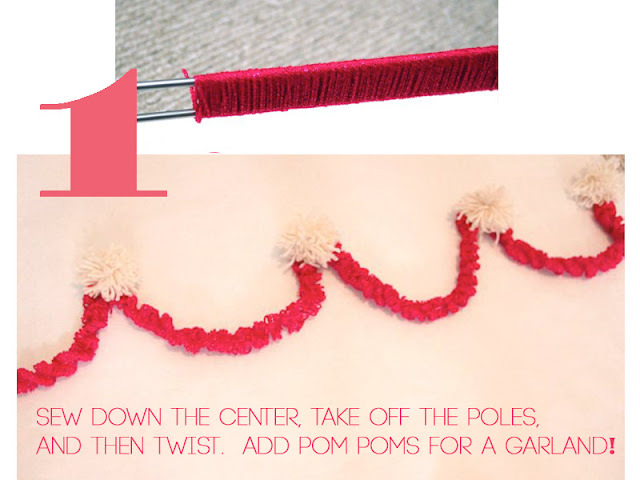 I also made several pom-poms at once on it and then put the two together to make a garland you could hang on your wall or Christmas tree. 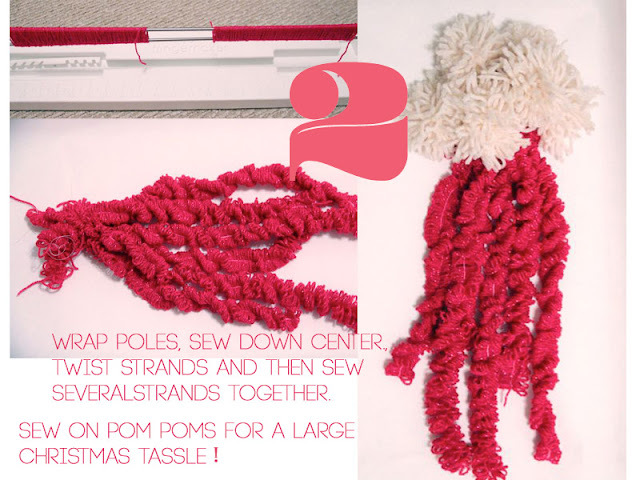 I also made a large tassel out of my twisted strands and pom-poms (I really really love pom-poms, and not just cause they are trendy, but I always have! I even made a pom-pom scarf my freshman year of college--13 yrs ago). Here is my tassel hanging proudly with my reindeer garland and wood flag bunting (made from balsa wood and twine). I love it! katie this is so great!